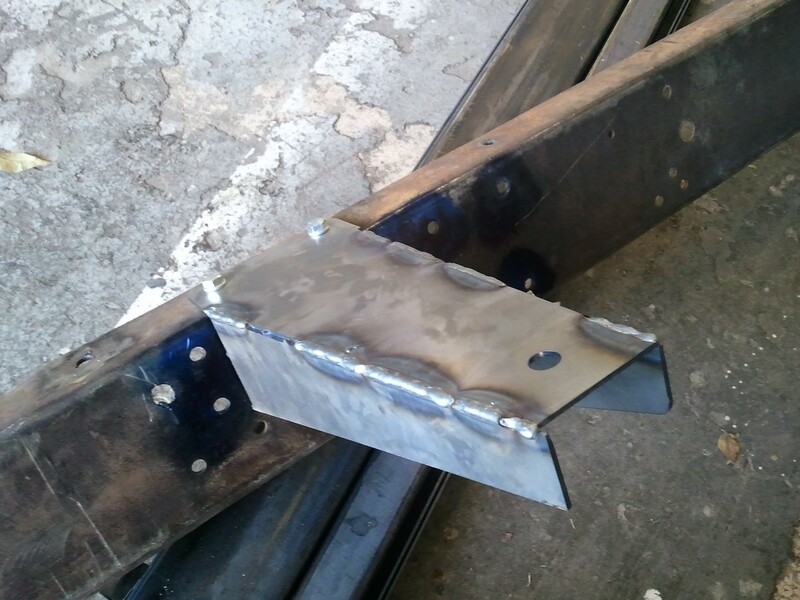 Writing about things that I find "codeblooded"
This is the first project I started after getting my steel shipment. In the first photo you’ll see how I drew this out as 5 separate pieces. 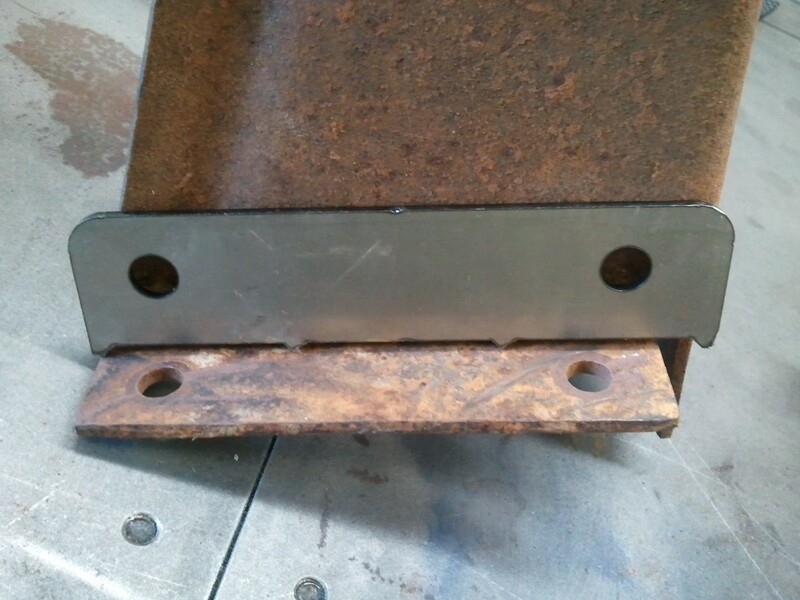 Reason being, this piece bolts to the frame rail using 6 bolts and they must align along the frame rail length as well as along the top edge of the frame rail. You can see in the photo how the original piece is bent into a c-channel shape along it’s length, and then bent perpendicular to establish the tabs that were originally riveted to the frame. What I was up against was that I had to make sure that when I bent this up, that the holes had the correct width spacing as well as vertical spacing. I found a formula online about how to calculate what’s called “bend allowance”, but I wasn’t sure I could get this absolutely right, so I made it up into 5 pieces that would be welded together. Even after all my careful measurements, I still made a mistake. 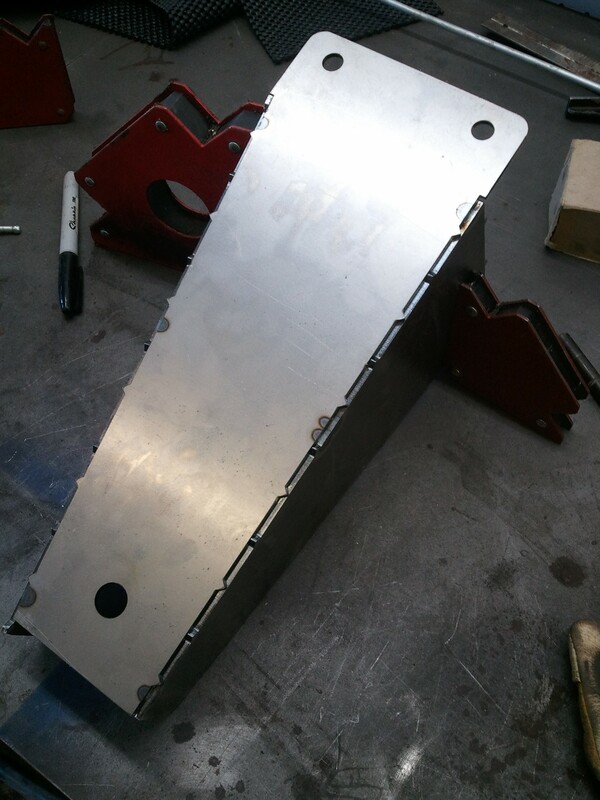 Here’s one of the tabs which allow the body mount to be bolted to the frame rail. I’m not sure where I messed up but you can see I was way off. I’ll have to make this part from hand and not used the laser cut parts. Here I’ve bolted part of the body mount to the original frame rail. 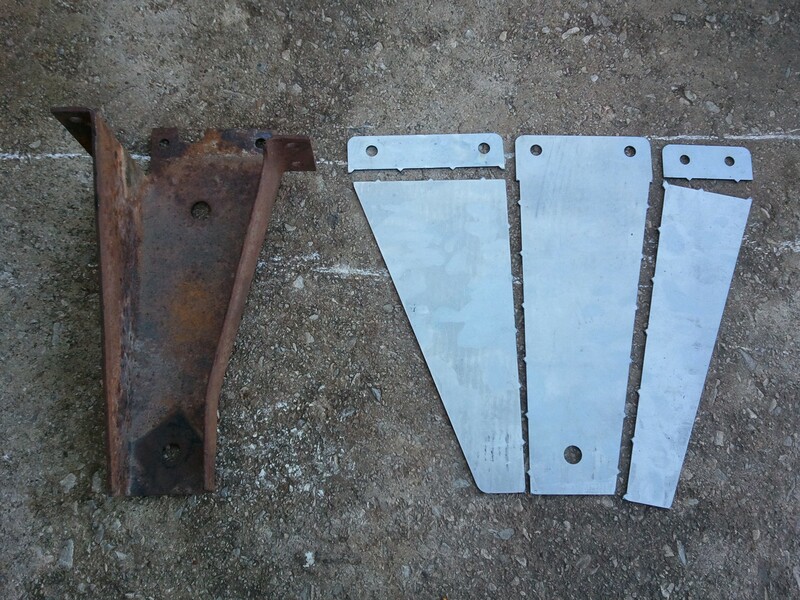 The next steps are to bolt the two tab pieces to the frame rail and then tack weld the tabs to the body mount side pieces. 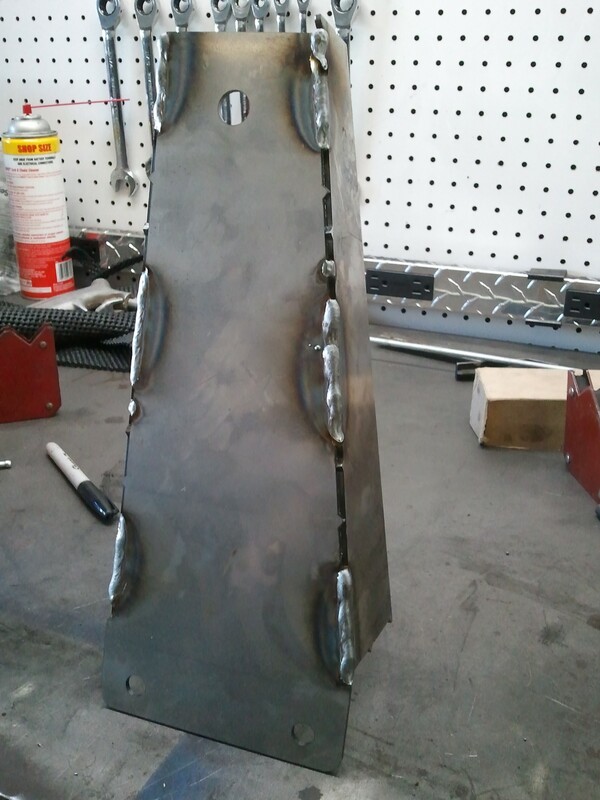 This will ensure that the part will bolt back up to the frame rail. Assuming I have the measurements right on the laser cut pieces. As I write this I think I’ll wait to bolt it up to my manufactured part instead of trying to bolt it to the original. Once I’ve tacked it together on my new frame rail I can double check it against the original to see how far off I was. This entry was posted on November 24, 2011, 10:58 pm and is filed under chassis, f100. You can follow any responses to this entry through RSS 2.0. You can leave a response, or trackback from your own site.